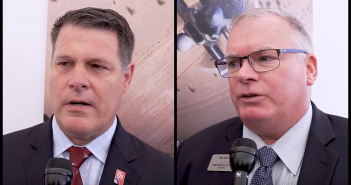 On this episode of the Defense & Aerospace Report Interviews Podcast, sponsored by L3 Technologies, Chuck Gummow, vice president of business development at Textron Aviation Defense, and Bill Harris, vice president of the company’s Scorpion program, share Scorpion and AT-6 Wolverine multi-mission aircraft program updates, discuss what makes the AT-6 a strong contender in the US Air Force’s OA-X light attack aircraft competition and much more during a wide-ranging, July 2018 interview with Defense & Aerospace Report Editor Vago Muradian at the 2018 Royal International Air Tattoo at RAF Fairford in the United Kingdom. Our coverage was sponsored by Leonardo DRS. Bell, a Textron company, sponsors our Defense & Aerospace Business Report podcast. On this episode of the Defense & Aerospace Report Interviews Podcast, sponsored by L3 Technologies, Leanne Caret, president and CEO of Boeing Defense, Space & Security, discusses cost-cutting efforts, the KC-46 Pegasus partnerships with Embraer and Saab, developing new products, the impact of transatlantic tensions on future sales, and much more in a wide-ranging interview with Defense & Aerospace Report Editor Vago Muradian at the Farnborough International Airshow outside London. Our coverage is sponsored by Farnborough International and Leonardo DRS. On this episode of the Defense & Aerospace Interviews Podcast, sponsored by L3 Technologies, Dr. Liam Fox, UK secretary of state for international trade and the nation’s former defense secretary, discusses the potential impact of transatlantic tariffs on the British economy, the trade message he’s taking to Washington during this week’s official visit, European defense spending, Brexit strategy, the politics of the newly announced Tempest fighter, the UK Department of Trade’s space agenda, priorities for the 2019 Strategic Defense and Security Review, and more in a July 20, 2018, interview with Defense & Aerospace Report Editor Vago Muradian at the 2018 Farnborough International Airshow outside London. 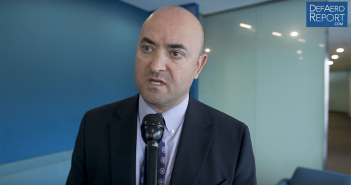 Our coverage was sponsored by Farnborough International and Leonardo DRS. On this episode of the Defense & Aerospace Report Interviews Podcast, sponsored by L3 Technologies, Michael Kofman, senior research scientist and the head of the Russia section at CNA, discusses what US Russia strategy should look like, the implications of sanctioning Russia over its alleged poisoning of a former spy and his daughter in the UK and more in a wide-ranging, August 2018 interview with Defense & Aerospace Report Editor Vago Muradian in northern Virginia. On this episode of the Defense & Aerospace Report Interviews Podcast, sponsored by L3 Technologies, Samuel Bendett, an associate research analyst in the Center for Naval Analyses’ Russia Program and a Russian studies fellow at the American Foreign Policy Council, discusses Russian autonomous vehicles (including its Storm unmanned ground vehicle concept and its Cephalopod unmanned underwater vehicle), takeaways from the Falcon Hunt unmanned aerial vehicle competition that was held during the 2018 International Army Games in Russia, and the Group of Governmental Experts on Lethal Autonomous Weapons Systems’ upcoming meeting in Geneva, Switzerland, during an August 2018 interview with Defense & Aerospace Report Editor Vago Muradian in Washington. Samuel Bendett, an associate research analyst in the Center for Naval Analyses’ Russia Program and a Russian studies fellow at the American Foreign Policy Council, discusses Russian autonomous vehicles (including its Storm unmanned ground vehicle concept and its Cephalopod unmanned underwater vehicle), takeaways from the Falcon Hunt unmanned aerial vehicle competition that was held during the 2018 International Army Games in Russia, and the Group of Governmental Experts on Lethal Autonomous Weapons Systems’ upcoming meeting in Geneva, Switzerland, during an August 2018 interview with Defense & Aerospace Report Editor Vago Muradian in Washington. Chris Griner, a partner in the Washington office of the Stroock & Stroock & Lavan law firm, discusses the Foreign Investment Risk Review Management Act (or FIRRMA) and what it means for the future of the Committee on Foreign Investment in the United States (also known as CFIUS), national security and much more in a wide-ranging, Aug. 16, 2018, interview with Defense & Aerospace Report Editor Vago Muradian in Washington. 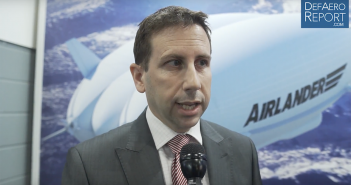 Tom Grundy, executive director of strategic customer solutions and support for Airlander at Hybrid Air Vehicles, discusses the Airlander 10 airship’s technology, capability, range and more in a July 2018 interview with Defense & Aerospace Report Editor Vago Muradian at the 2018 Farnborough International Airshow outside London. 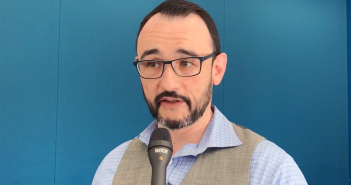 Our coverage was sponsored by Farnborough International and Leonardo DRS. Chuck Gummow, vice president of business development at Textron Aviation Defense, and Bill Harris, vice president of the company’s Scorpion program, share Scorpion and AT-6 Wolverine multi-mission aircraft program updates, discuss what makes the AT-6 a strong contender in the US Air Force’s OA-X light attack aircraft competition and much more during a wide-ranging, July 2018 interview with Defense & Aerospace Report Editor Vago Muradian at the 2018 Royal International Air Tattoo at RAF Fairford in the United Kingdom. Our coverage was sponsored by Leonardo DRS. Bell, a Textron company, sponsors our Defense & Aerospace Business Report podcast. 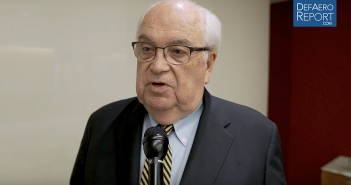 Michael Kofman, senior research scientist and the head of the Russia section at CNA, discusses what US Russia strategy should look like, the implications of sanctioning Russia over its alleged poisoning of a former spy and his daughter in the UK and more in a wide-ranging, August 2018 interview with Defense & Aerospace Report Editor Vago Muradian in northern Virginia.